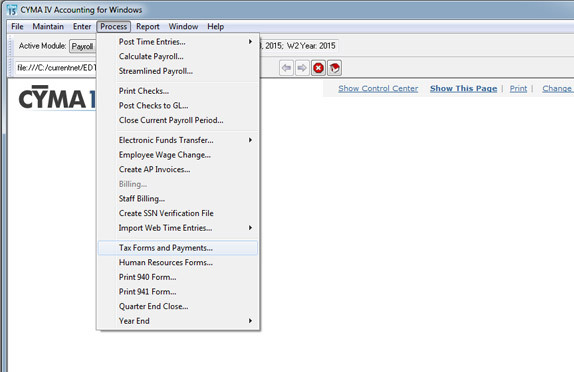 Now includes Payroll Reporting with over 330+ US State and Federal forms. 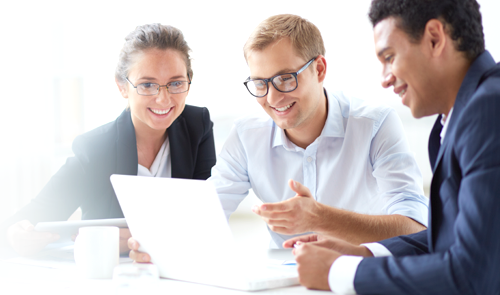 How much time could you save by completing federal and state tax reports directly from your accounting software? Now you can with CYMA State Payroll Forms. Enhanced Tax Reporting automatically produces more than 330+ tax forms to plain paper including: state and federal quarterly tax forms, W-2s and much more, all conveniently from within your CYMA accounting software. The interface is simple to understand and easy to use because it is an exact replica of the government form you receive in the mail, with one BIG exception. It is already filled out! It makes quarterly and annual reporting a snap. The reports are automatically completed and can be reviewed or edited on screen. Once you've verified the information, you can print the form to plain paper or conveniently eFile using the Aatrix® eFile Center. Aatrix's Single-Point™ eFile Center facilitates eFiling any of the supported state and federal reports in one central site for processing. After reviewing the form in CYMA, simply select "eFile" and the information is sent directly to the Aatrix Payroll eFile Center. You'll receive confirmation that the file was received via email. The form is processed and sent to the appropriate agency securely. Going paperless has never been easier! Complete W-2 eFile Service simplifies filing and saves you money! File your State and Federal W-2s and mail the employee W-2s directly to them in a fraction of the time it has taken in the past. Aatrix Payroll eFile Center has added the ability to deliver your employees W-2s via a secured website for instant access. No more reprinting lost or bad address W-2s. Simply provide your employee or ex-employee their login information and they print their own W-2s. W-2s can be accessed from anywhere, anytime. You can now accomplish this task quickly, accurately, for an amazingly low price. Here’s what satisfied Aatrix® customers are saying about the convenience of automatic state and federal form processing and eFiling! - S & W Cabinets, Inc.
CYMA, the CYMA logos, and the CYMA product and service names mentioned herein are registered trademarks or trademarks of CYMA Systems. All other trademarks are the property of their respective owners. 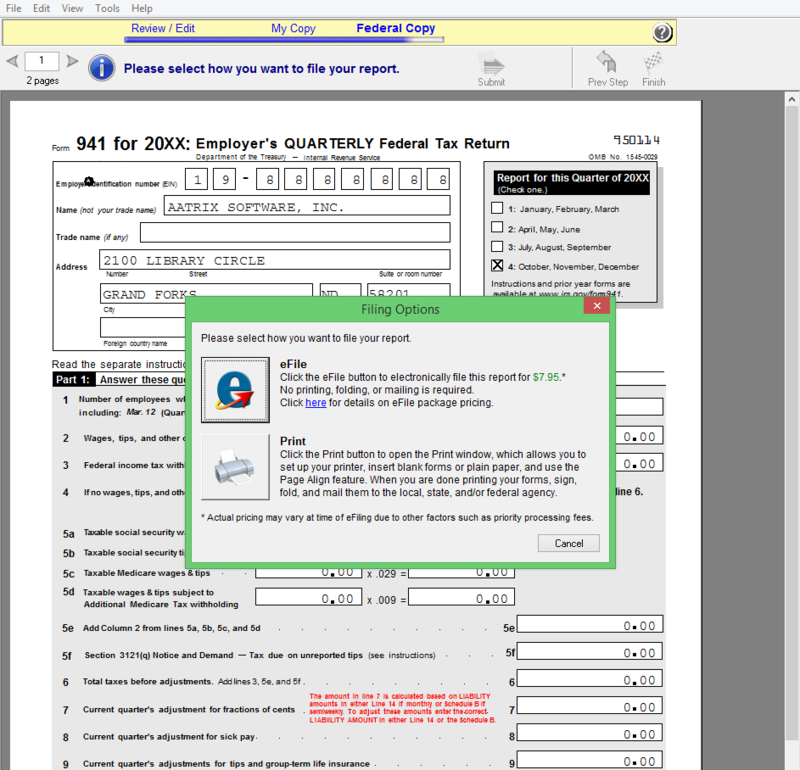 View our library of over 330+ State and Federal tax forms automatically available to all CYMA Client Care subscribers. Aatrix now hosts Employee W-2s on a secured website for instant access for your employees anytime. 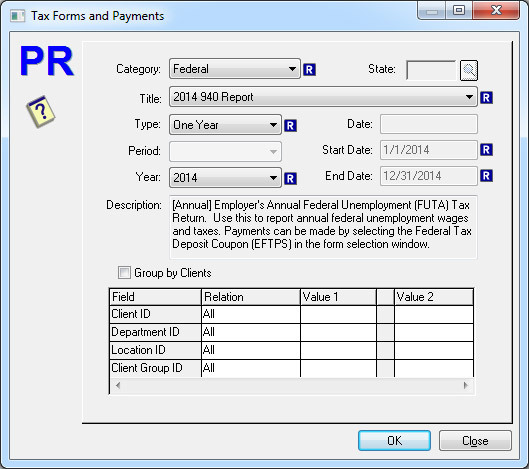 This feature has been added to the Complete W-2 eFile Service at no charge and is the backbone of the NEW Express W-2 eFile Service. Go to efile.aatrix.com and complete the easy online enrollment forms. If filing only W-2s, you do not have to complete the payment info or signature page options. This enrollment site allows you to set up your password protected personal eFile management account. Enter your company information, other reporting details, and POA release to be ready to eFile immediately. This site maintains a complete detailed history of all filings. Personalized messaging from our eFiling administrators provides details about your filing, as well as alerts concerning critical filing information. Aatrix conducted its annual survey of our eFile customers following the W-2 filing period in January and February of 2013. The following is a summary of the results and the percentage of those respondents that would recommend this service to others went up to 93%. Prepare your tax forms in less time with CYMA. Aatrix reserves the right to refuse eFiling service for businesses with invalid SSN Numbers, NSF incidents, and other unethical behavior. © Aatrix Software Inc., CYMA, All rights reserved. All trademarks are the property of their respective companies.